Ego is based on three classes of thought. The first type of thought is considered to be your permanent self. The second type of thought is considered to be your active self. And the third type of thought is considered to be your product self. These three thoughts are the actual makings of ego–not mere descriptions of the imagined activities of self as in, for instance, psychodynamic theory (superego, ego, id). The “I” is the result of having a thought about identity and identifying with that thought as if it were identity itself. It helps to name these three thoughts that form the structure of ego differently both to bring out different aspects and to offer different ways for you to relate to and experience the information. 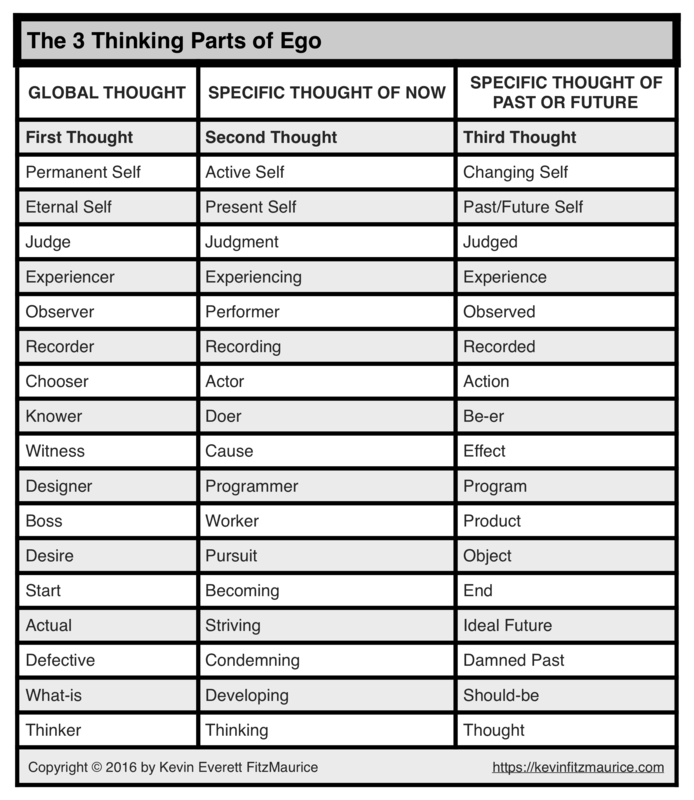 See the table below for naming these three thinking parts of ego. First, you think it is you who knows what to do, second you think it is you who does it, third you think your are the result. Three lies in quick succession as you are neither thought nor thought of thought. The main thing to understand here is that self is not thought. 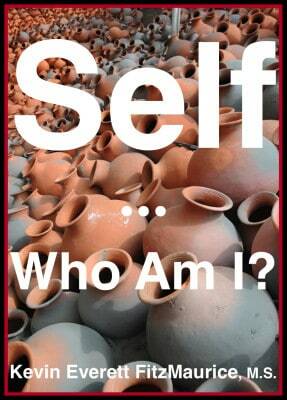 Self is a living being not static or variable thoughts. The main thing to do about this is to remove your identity from the thoughts of self as self, and to then return your identity to your real self–self as being, as a living vessel, container, transceiver, or mirror. As soon as you have a goal for self that is based in thought–you are lost. You can only seek in truth if you seek in spirit. What you seek cannot be of thought or it is only ego expansion. What you seek must be felt and/or hoped for but never thought of. Less is more. • For more information on tripartite systems and the tripartite nature of self, discover Self: Who Am I?